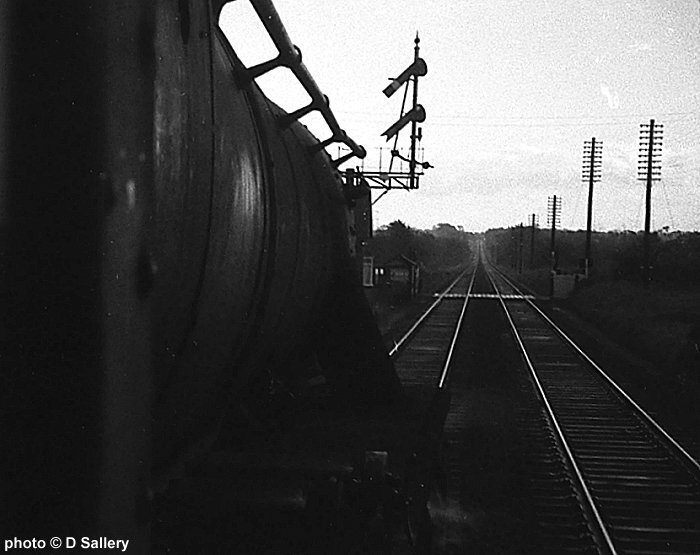 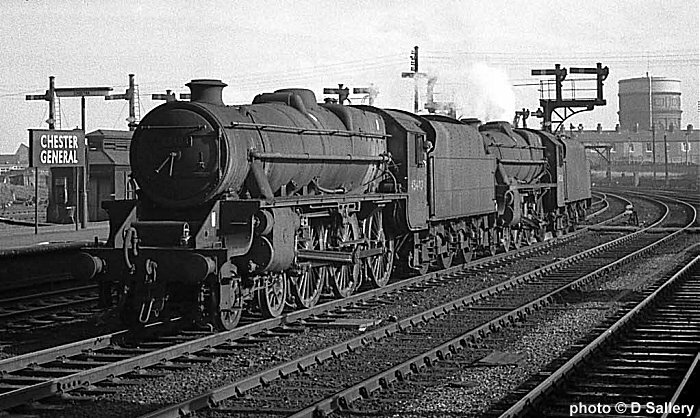 Two Stanier class 5's await the signal. 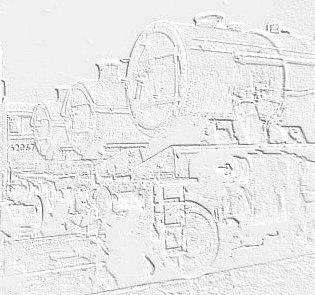 Up and Down freights pass in the yard. 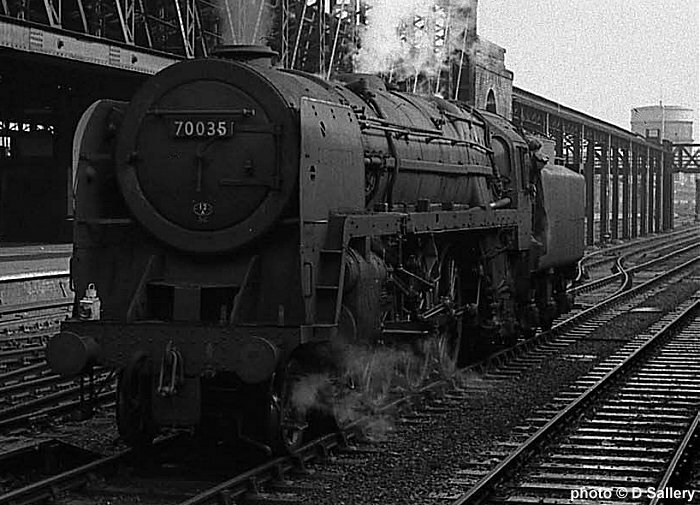 BR standard class 4 4-6-0 75010. 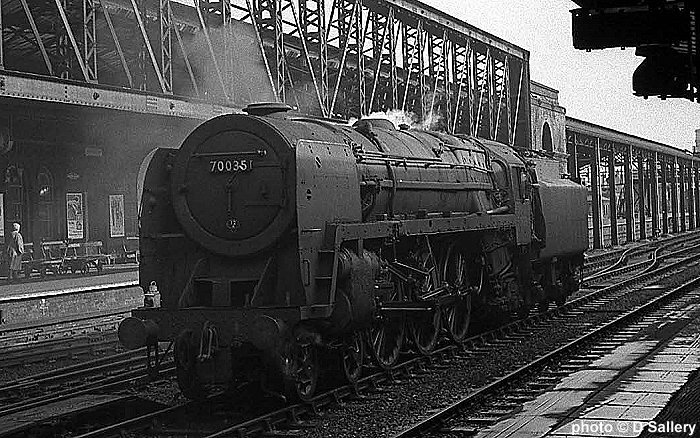 Two views of Britannia class pacific 70035 "Rudyard Kipling". 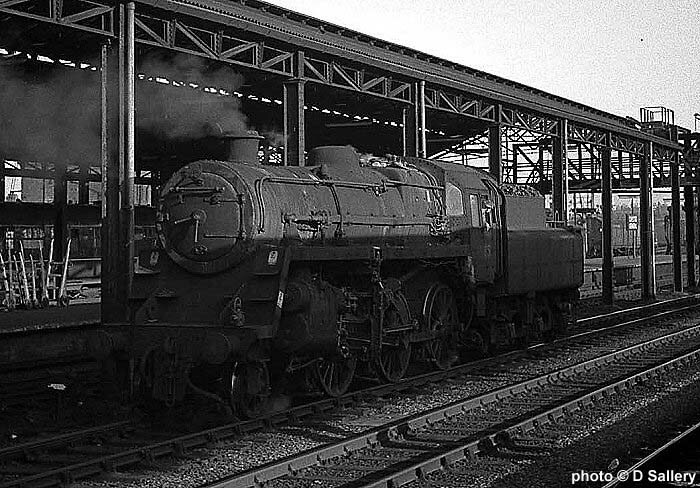 Station pilot at the west end was 3F 0-6-0 47437. 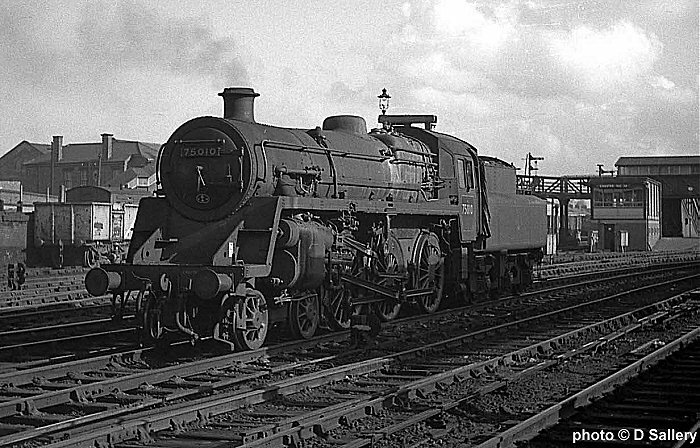 A BR Class 3 2-6-0 en route to the shed. 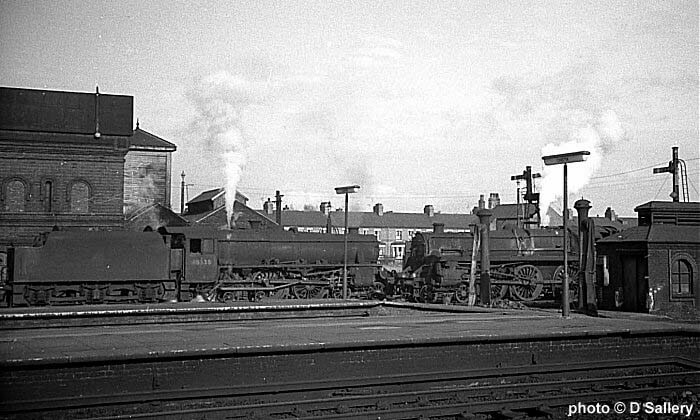 A view to the west with the DMU depot on the right. 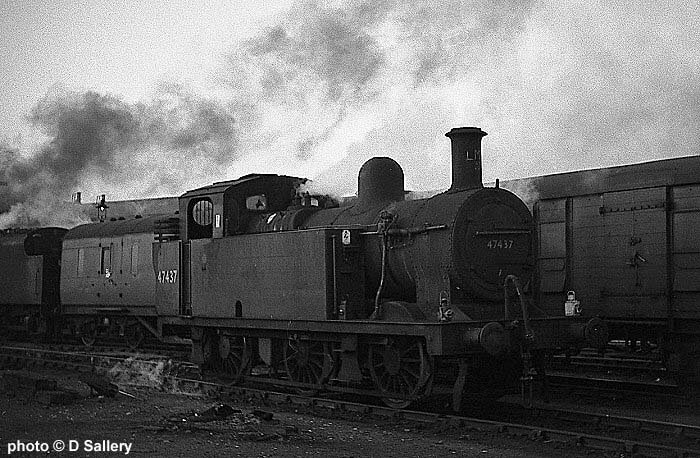 This photo was taken during the course of a cab ride from Gobowen to Shrewsbury on 45284. 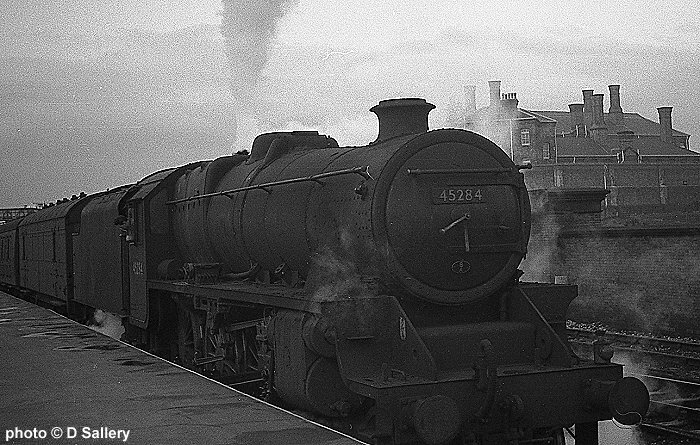 45284 at Shrewsbury after arriving on a Birkenhead to London Paddington train, February 1967. 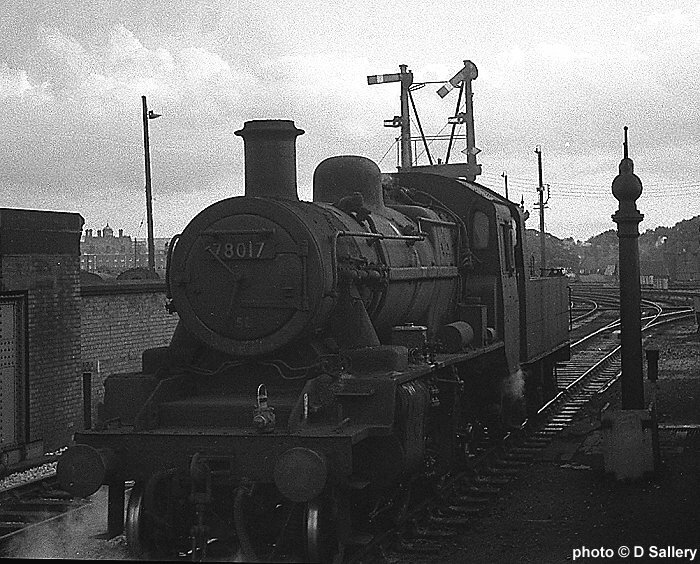 78017 was on station pilot duties on the same day.